During the 48 hours during May 1-2, 2010, Central and East Tennessee was inundated with nearly 12 inches or more of torrential rain. According to Housing and Urban Development (HUD), Davidson County alone had nearly 5% of all housing is considered to be moderately or severely affected by water damage. So, since we had been planning AmeriCorps Week events for over 140 current AmeriCorps members, VISTAs, and Alums for the past 5 months, we mobilized to reevaluate our service projects. 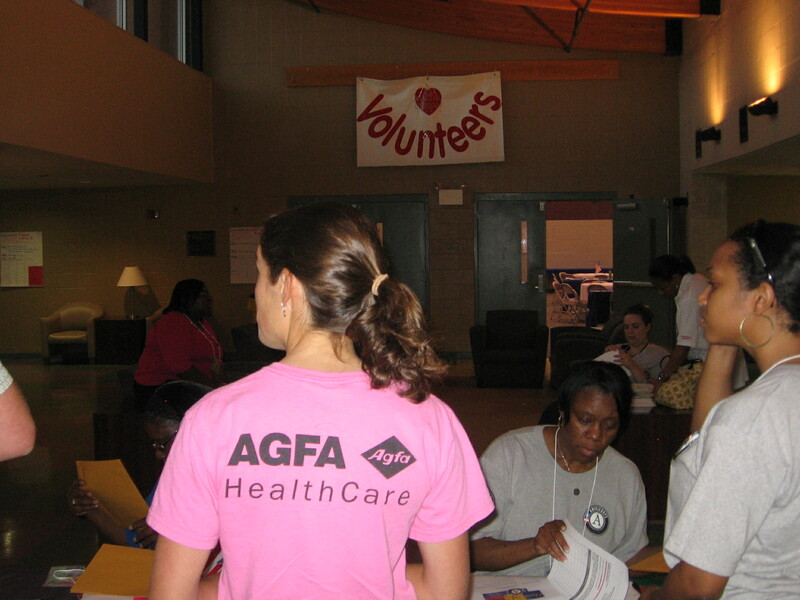 On Saturday, May 15, 2010, we performed service projects to directly serve those affected by the largest disaster to ever hit the state of Tennessee. With 42 counties out of 95 declared a federal disaster, AmeriCorps members, VISTAs and Alums will be helping residents in Nashville to remove damaged items and structural materials from their homes. In partnership with Metro Nashville Beautification, Metro Office of Environmental Management, Martha O’Bryan Center (AmeriCorps grantee) and members from all 13 state funded programs, United Neighborhood Health Services Community Health Corps (National-Direct), HandsOn Nashville, and Volunteer Tennessee (the state Commission-all Alums! ); we will be going into the most impacted areas to perform service. 50 AmeriCorps members will be spending an hour in East Nashville cleaning-up roadways in the James A. Cayce Homes. 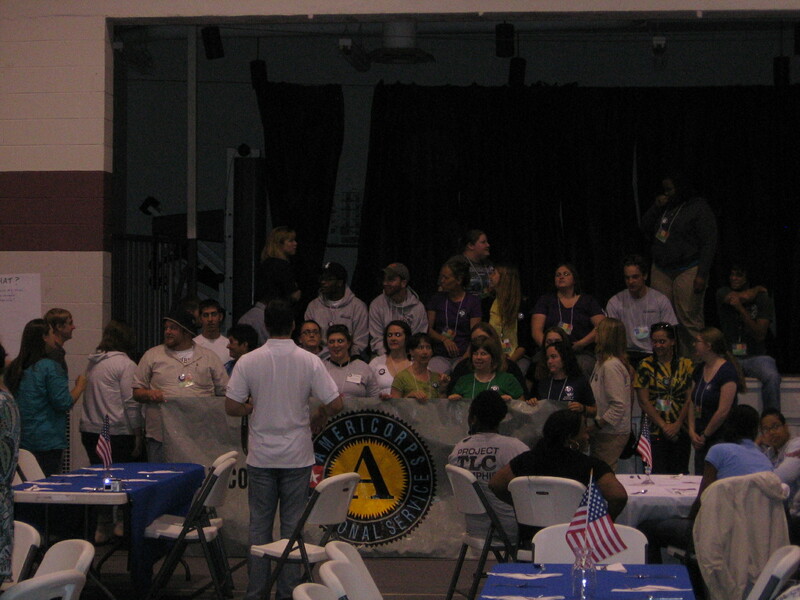 The area of the Cayce Homes is served by one of our state AmeriCorps programs. This area is a high-need low-income area that will benefit directly from a sense of having a clean space to live. Then, members will head to the Inglewood area of East Nashville to also help remove damaged items from homes and sort them on the curb. This area had water up to their roofs. The indirect project consists of sorting donations and repacking them for delivery. Since many volunteers are unable to perform physical labor and have health issues, we developed a project that they can also perform that meets their needs while helping others. As the worst disaster in Tennessee history is ongoing, we are only beginning to help residents who may take years to recover. The Red Cross is canvassing many of the neighborhoods to provide personal assistance and to identify immediate needs. FEMA has been on the ground for a week doing damage assessments. And TEMA, (Tennessee Emergency Management Agency) was activated and ready to respond before the clouds parted. We will be reporting and posting photos of our service project. In the mean time, you can help by signing up to volunteer through HandsOn Nashville (www.HON.org), or provide monetary donations to the Nashville Red Cross (www.nashvilleredcross.org) or the Community Foundation of Middle Tennessee (www.cfmt.org). If you want to donate items, visit the TEMA donations site (http://www.aidmatrixnetwork.org/fema/states.aspx?ST=Tennessee). What is FEMA paying the orgs that hired the CNCS(americorps, etc) personnel? For example, in N.O. FEMA pays the org per head(americorps, etc) and there are no requirements. The grants continue and is an extra income for the orgs over what CNCS pays. I would like to see the grants, etc. when you have time to put them up. amazing and inspiring…thanks for your incredible and sustained effort! None of the AmeriCorps*State programs received any direction from CNCS. This has all been coordinated at the state level. We do have Washington Service Corps, TCCC (Tribal Civilian Communty Corps), NCCC and a state Corps from MO that has been directed via an ask from the State of Tenenssee to these orgs. I know the state of TN does pay for a percentage (25% I believe) to bring these resources here to help during the flood recovery. However, with collaboration from TEMA (Tennesse Emergency Management Agency), they Corporation has sent a contact to coordinate these resources.